Confession: I totally drank my calories yesterday making the next round of drinks for the week. This Messy Boozy Chocolate Rum Shake sealed the deal on all the hard work and running around in the heat that I did earlier in the day. But seriously, any excuse for ice cream and I'm totally there with bells on and since it's the weekend, we could all use an excuse to hit the chocolate train. Ready for the recipe? 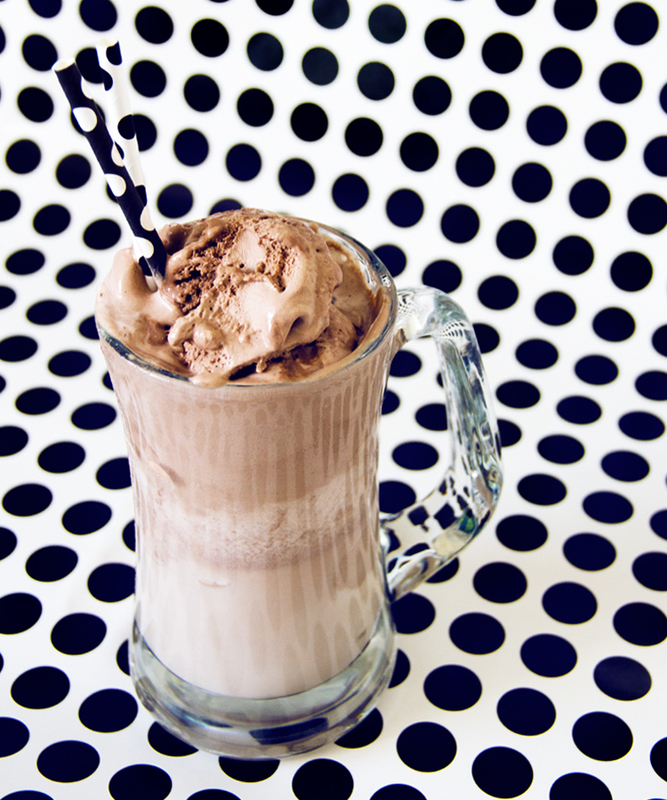 Plus Messy Boozy Chocolate Rum Shakes are the perfect way to beat this everlasting summer heat. What I love about this shake has to be how easy and messy it is. When I want my chocolate fix, it needs to be fast. Directions: In a frosty beer mug, take the ingredients above and combine. The ratio of ice cream to milk is up to you. I like my thick so I added a few extra scoops of chocolate ice cream. If you prefer your chocolate shake blended like your Starbucks, just add to the mix above to your blender and blend away until smooth. Cheers!